Veterinarians recommend puppies and kittens start receiving vaccinations between nine and 12 weeks of age. Booster vaccinations need to be administered one year after a dog or cat has their initial vaccinations. Booster shots are formulated to strengthen immunity responses of first vaccinations while ensuring pets are protected against a variety of infectious diseases. Even older pets that have not been vaccinated would enjoy the health benefits of vaccinations, especially if their lifestyle involves socializing with other pets and outdoor activities. Core (essential) vaccinations for cats are rabies, herpesvirus, calicivirus, and panleukopenia (feline distemper). Most of these diseases affect a cat's upper respiratory system, causing severe coughing, nasal discharge, fever and weight loss. Non-core vaccinations (vaccinations not necessary for taking cats abroad or boarding them in kennels include feline leukemia virus and feline immunodeficiency virus. Your veterinarian will discuss your cat's lifestyle with you and recommend non-core vaccinations if needed. Distemper, rabies, hepatitis, parainfluenza and parvovirus are core vaccinations for dogs. Canine hepatitis (canine adenovirus type 1) is a serious disease usually leading to pneumonia once it reaches the respiratory system. This virus can also spread to a dog's liver or kidneys, causing organ failure and death. 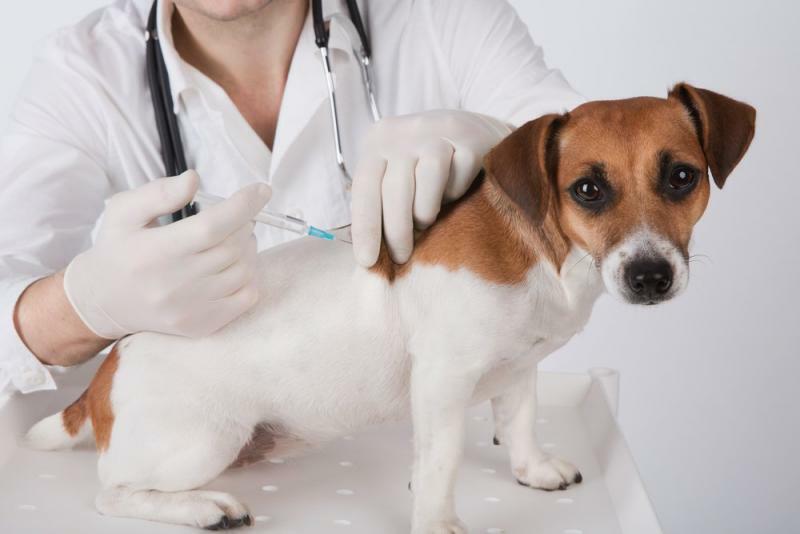 Non-core vaccinations for dogs include bordetella (kennel cough), leptospirosis (a bacterial disease targeting liver and kidneys), coronavirus (chronic diarrhea) and canine influenza virus (CIV). Veterinarians recommend rabbits receive two specific vaccinations before they are one year old: the myxomatosis vaccination and the rabbit hemorrhagic disease vaccination. Myxomatosis is viral disease transmitted by fleas and ticks. Rabbit hemorrhagic disease is a contagious, sometimes fatal viral disease infecting both wild and domesticated rabbits that causes internal bleeding and flu-like symptoms. If your bird stays in the home and is not around other birds, your veterinarian may not recommend getting your bird vaccinated. However, a vaccine against the polyomavirus is available for birds. Polyoma disease is more prevalent in macaws, lovebirds, budgies, cockatiels and ringneck parrots, producing a swollen abdomen, weight loss, vomiting, depression and feather abnormalities in birds. Bird owners should ask their veterinarian whether their bird needs to be vaccinated against polyoma. To schedule a vaccination appointment at Fairway Knolls Veterinary Hospital, please call %CLIENT_PHONE% to speak to one of our staff.